A NIFES with students who are willing to be with Jesus and to become like Him. Students who own NIFES and are ready to give their all to see to the actualization of its Vision in their lives and campuses. Students who are teachable and responsible to the NIFES structure and creative in the actualization of NIFES Vision. Students with strong evangelical conviction and a passion for excellence through righteousness in their academics. Students who are agents of transformation sent to the Seven Spheres of Influence (Society), to impact them with godly values upon graduation. 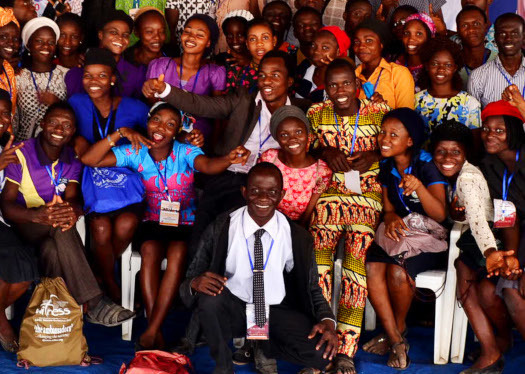 The Nigeria Fellowship of Evangelical Students (NIFES) is an evangelical Christian body working amongst students in tertiary institutions in Nigeria. We are non-denominational and inter-denominational body of students and graduates that engage the campus and society with godly values. NIFES came into existence in 1968 as a result of the Evangelical Christian witness in some post-secondary institutions in the early fifties. Students who have benefited from the ministry of Christian groups in their secondary schools became involved with Christian lecturers who invited them for prayers, Bible studies and squash parties, particularly at the University of Ibadan. Before long, more groups emerged leading to the formal inauguration of NIFES on the 31st of August, 1968 at a conference held in Ilorin. Today, NIFES member groups number about 409 with well over 30,000 students involved. Through Bible studies, prayer meetings, and biblical discipleship, NIFES challenges, motivates, and mobilize students to fulfill the Great Commission (Matthew 28:18-20).